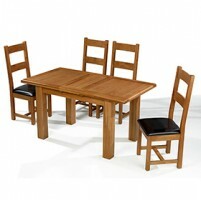 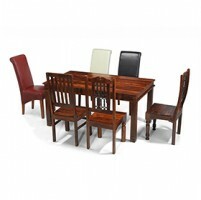 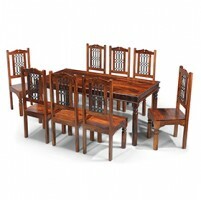 Simplicity and elegance is what characterises this gorgeous dining set. 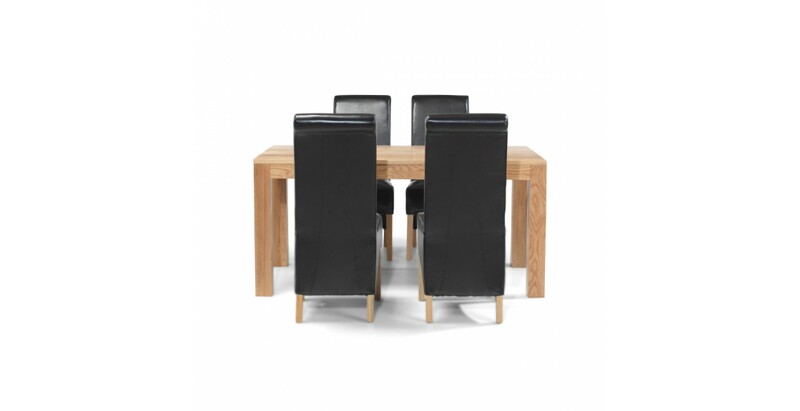 At 160cm long, the dining table is perfect for everyday dining and all the other activities the modern family will use it for. 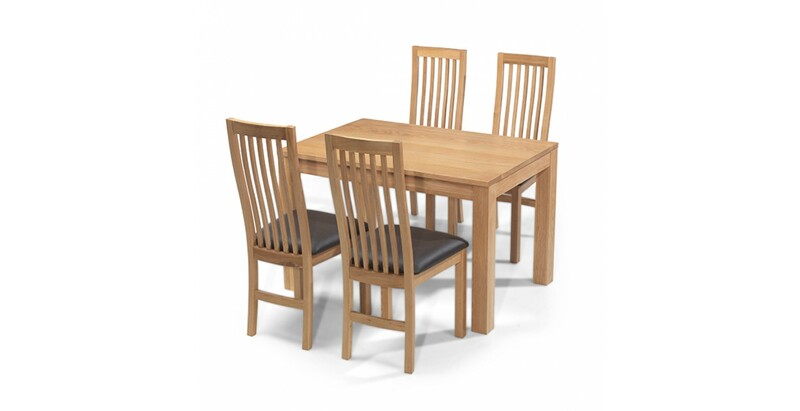 Kept looking its best by the matt lacquer finish, you can choose the set of chairs to accompany it that will best suit your dining space. 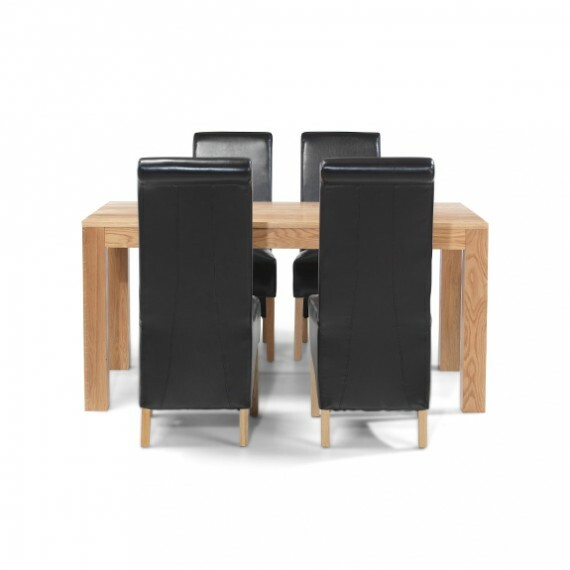 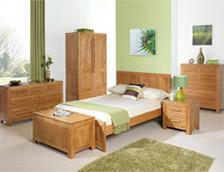 To keep things simple, our oak chairs with comfy leather seats and gracefully curved slatted backs will be ideal. 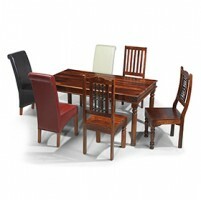 But if you want to add a bit of contrast, opt for a set of our bonded leather chairs in beige, red or brown.